Papers accepted at ICISP 2018 will be presented using one of two methods: oral presentation or poster presentation. The presentation method applicable to each paper can be found in the conference program (see below). For oral presentation instructions, click here. For poster presentation instructions, click here. 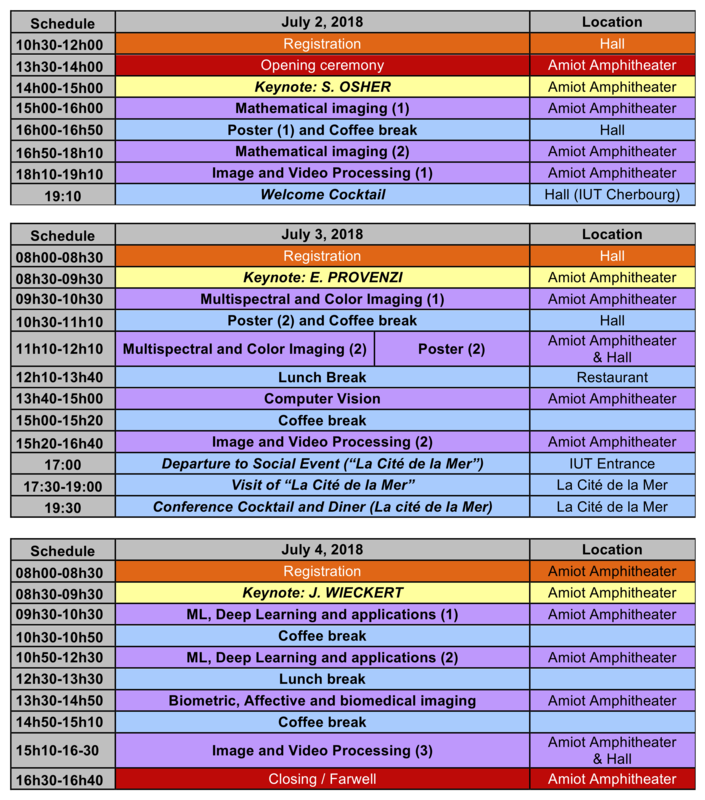 The detailed conference program with sessions can be seen here or you can in download it in pdf. Paper presentations will be 15 minutes, plus five minutes for questions. The presentation room is equipped with a computer where presentations can be uploaded. Presenters are expected to have their presentation pre-loaded electronically on the PC already installed in the conference room. Bring USB-Stick, CD and other memory devices as back-ups. It is absolutely impossible for everyone to set up their computer individually for each presentation. We ask session chairs and presenters to coordinate and have all presentations uploaded on the computer before session starts. Each presenter will be assigned a A0 poster board space (portrait orientation). Each author is responsible for assembly and removal of his/her own presentation. Presenters are required to be at their poster during the associated session. Remove your poster promptly after the session. Materials left on the poster boards after the removal deadlines will be thrown away. Materials for attaching illustrations to the poster boards will be provided.